Here’s a scenario in which we find a lot of our clients: You’re in pain, you need an Emergency Dentist in San Diego immediately. You don’t know what you’re going to do because your dentist isn’t available until the next day. How will you sleep? How will you go to work? Finding an emergency dentist in San Diego emergency that is open right away is the next step, but it can be a difficult task in such a large city and very time-consuming. Most dental offices close at 5 PM, and if you aren’t a patient already, you may not get in if they are booked. Luckily, Emergency Dentists USA is here to help you! We are a free referral service that is open 24 hours a day, 7 days a week to assist our clients when these situations arise. All you have to do is make one phone call and we will be able to find a local dentist that fits your needs and also help to make an appointment for you, if necessary. I had a serious toothache that seemed to come on suddenly one weekend. I was in so much pain I knew I couldn’t wait to get in to see my regular dentist. Luckily Emergency Dentists USA was able to find a dentist that was close to my house and was open that day. I was never so happy to get in to see a dentist as I was that day! Finding an emergency dentist in the San Diego area when an emergency arises is easier when you know what type of clinic you need to get in to. There are several different types of clinics that can assist you in a dental emergency, such as walk in, after hours or 24-hour clinics. If you are looking for a walk in clinic, Dental Express is a great choice. A walk-in clinic is what you will need if you cannot wait for an appointment and need to get in to see a dentist right away. They welcome same-day and walk-ins and have four locations throughout San Diego. They are also open on Saturdays in order to better assist their patients in their time of need. There are several clinics in San Diego that are open after hours to better assist their patients who are not able to get into a dentist during regular business hours. From our list below, Clairemont Smiles, Dental Express and San Diego Dentistry Studio all offer extended weekday hours which allows patients to get in to see a dentist even when they cannot take off of work to do so. Clairemont Smiles and Dental Express also offer Saturday dentist hours. If you are needing a dentist late at night or even on a Sunday, Dr. Sonny Aryan, DDS Dentist San Diego, Pacific Beach, Mission Beach is your best bet. Although they are not a 24-hour dentist, they are open from 6 AM until Midnight, 7 days a week. They also are able to assist in emergencies 24/7, just call their regular line and they will be there to take care of you, whatever your emergency may be. Our services can also help find you a special needs dentist in San Diego for your child or loved one. Emergency Dentists USA has compiled a list of local dentists that are open after hours and on the weekends Saturdays and Sundays and that accept walk ins in the San Diego, CA area. We’ve done all of the research for you, so all you have to do is pick one of the emergency dentists below. These dentists are known for their good dental work during and after normal business hours! If you’re stuck thinking “What Am I going to do to find an emergency dentist near me?” Don’t worry we’ve got you covered. Description: Call to be connected to the perfect dentist for you! We have the connections to find a dentist to fit your needs, and can get you an appointment immediately. We help you find an emergency dentist with or without insurance. You can get emergency dental help in California fast. Description: This clinic is open regular hours from 6 AM to midnight, 7 days a week but they are also available for emergencies 24 hours a day, 7 days a week. Just make a phone call to their regular office number and they will assist you 24/7 in any emergency. Description: This emergency dental clinic is open extended weekday and weekend hours in order to better serve their patients. Their friendly and knowledgeable staff in San Diego is committed to meeting your needs as a patient during an emergency situation. They also have a page on their website with information on many emergency situations you may face and how to handle them, etc. Description: At Dental Express, they know that accidents can happen at inconvenient times and that is whey they’re open 6 days per week to help with those unforeseen dental accidents. They welcome same-day or walk-in appointments in all of their offices. They are also a one-stop shop for the whole family as they provide general and emergency dental care for adults and children. Description: San Diego Dentistry Studio understands that dental emergencies happen when you least expect them and quick treatment is often the best solution. They encourage you to call right away if you are experiencing a dental emergency and if it is after hours, to follow the prompts on the recording to see how you can seek immediate help. When you visit an emergency dentist office in San Diego, CA you’ll want to make sure you arrive at least 15 minutes early, if at all possible. That way you are able to get any necessary paperwork filled out. Usually, the dental clinic will ask for your personal information, insurance company, and then your medical information. It’s a good idea to know how you will pay for your appointment and whether they accept your insurance or not. The dentist will be able to tell you during the exam what he can do for you at that appointment. Sometimes, it may be just removing the tooth or teeth that are giving you problems. Other times, you may need surgery or a more extensive procedure, which means you’ll have to schedule another appointment and they will usually prescribe pain medication to get you through to the time of your next appointment. Do You Need An Emergency Tooth Extraction San Diego? Having an emergency tooth extraction in San Diego is a very simple process. Each of the emergency dentists in our directory is fully qualified to perform an emergency tooth extraction. This type of procedure may be required if you have a loose or infected tooth that needs to come out right away. This can happen because of an object having been lodged between your teeth, as well as potentially from an abscess or cavity that you were not aware of. 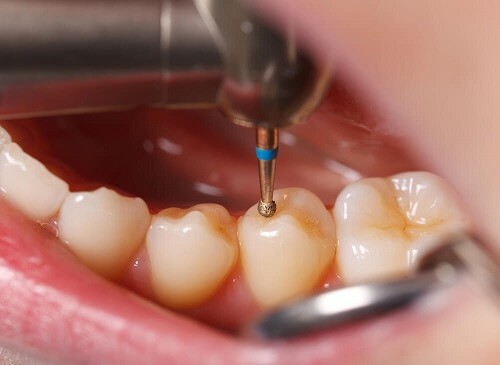 An emergency tooth extraction will mean that the dentist is going to have to remove the tooth right away due to an unhealthy level of infection or decay inside or around the tooth. This is a very common procedure and you needn’t worry that it will be too painful or dangerous. When the extraction has been completed, you will be in pain for several days. However, the dentists will prescribe you medication to help with the pain and any possible infection. Make sure to take the medication as prescribed in order to not delay your recovery. Suffering From A Dental Emergency San Diego? Facing a dental emergency can be scary. Many of the emergency dental clinic San Diego dentists will see you on a regular basis to ensure that your teeth remain strong and healthy in hopes you do not have to face a dental emergency. This can prevent any further problems in the future. Whatever dental emergency you’re suffering from, there is a dentist in San Diego who can help you. If you experience a dental emergency but don’t have insurance, you may be wary to receive help. However, dental emergencies are time sensitive and should be handled as quickly as possible. Our services can help you. If you need a root canal done, call our hotline and we can help set you up with a dentist if you need emergency root canals without insurance. If you have a fear of the dentist but need care for your dental emergency, consider asking about dental sedation. To find a dentist who uses nitrous oxide near you, call our hotline or search our directory. Your dental emergency may require you to have emergency oral surgery. If this is the case, an emergency dentist will be able to refer you to an oral surgeon in San Diego and get your procedure scheduled quickly before your condition worsens. We hope that our list of emergency dentists in San Diego, California has helped you find the dental care you need right now. Our referral service, Emergency Dentists USA is here for you day or night to help you find an emergency dentist near you.